Since humans cannot make omega 3s in our bodies, we must get them from our diet. 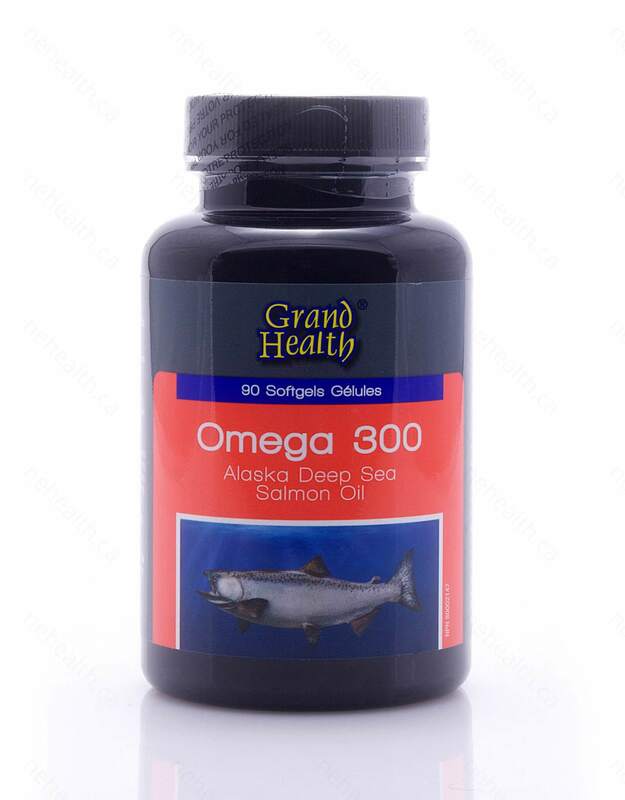 Wild Alaskan salmon are rich sources of omega 3s including DHA and EPA. 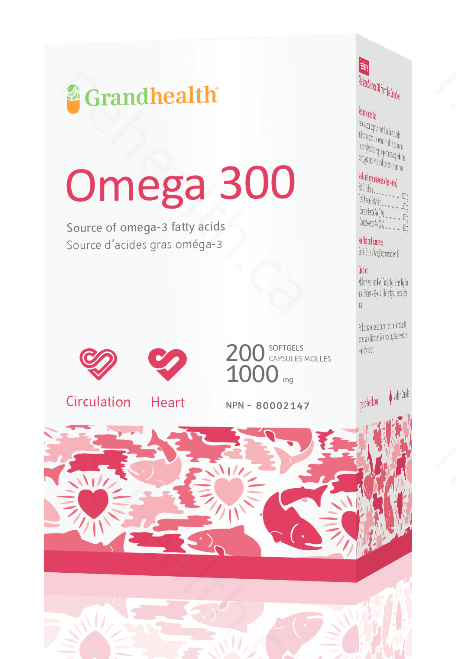 These two types of omega 3s are extensively researched for many different types of conditions as well as to maintain overall good health at any age. 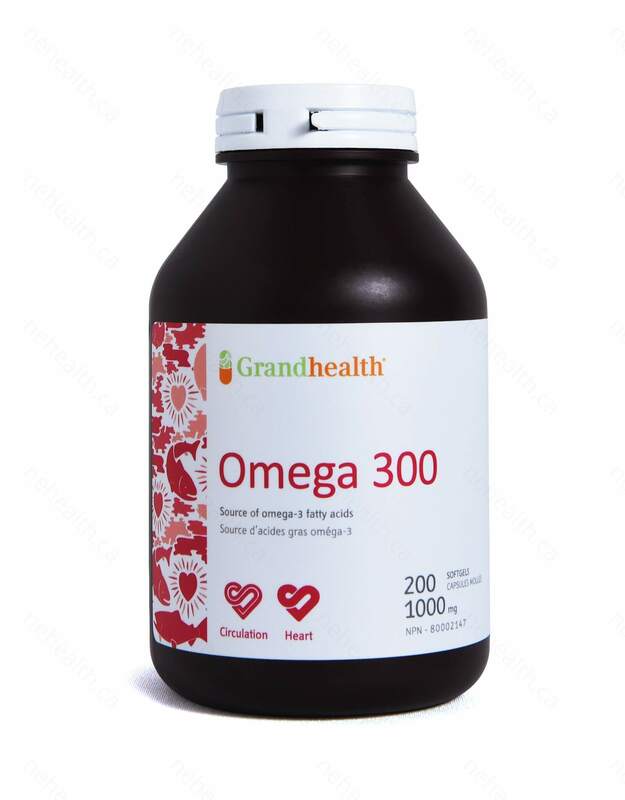 Besides providing major support for the cardiovascular system, including to help reduce cholesterol, triglycerides and inflammation, omega 3s also provide support for our joints. Oils in our body and from our diet are what keep our joints moving smoothly and gives us a little extra support with inflammation and pain when needed. This oil that helps our joints is also what helps keep our skin smooth too! Since the human brain is over 60% fat, we need these good fats to keep our memory, concentration and mood where they should be. Of course, our wee ones can benefit from omega 3s as well. Researchers have shown that the omega 3s are crucial for a developing baby, a growing child and even those teenagers that seem to eat all the wrong things. 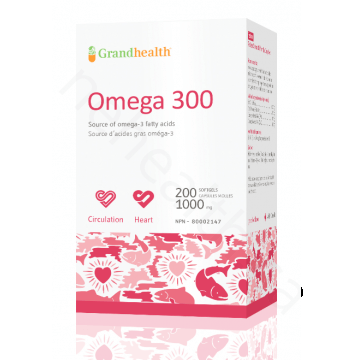 Grandhealth™ Omega 300 offers you one of the world’s purest salmon oil harvested from the pristine deep waters of Alaska. 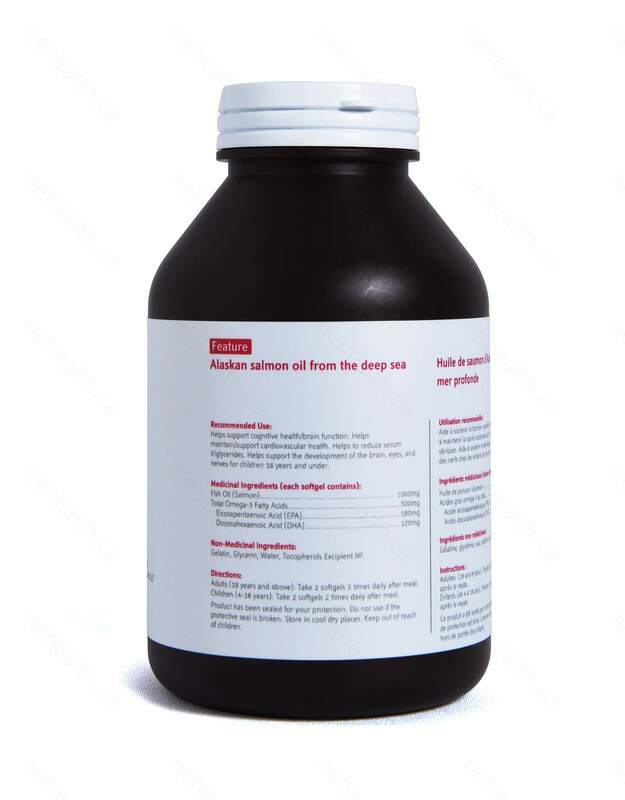 The fish oil has undergone an extensive molecular distillation process to remove all potential contaminants, heavy metals and impurities. Clinical studies show that consuming fish oil rich in EPA and DHA may improve cognitive function, maintain a healthy cardiovascular system and help in the development of eyes and nerves. Adults: Take 2 softgels 3 times per day after meal. Children 4-18 years old: Take 2 softgels 3 times per day after meal. Nemets, Boris, Ziva Stahl, and R. H. Belmaker. "Addition of omega-3 fatty acid to maintenance medication treatment for recurrent unipolar depressive disorder." American Journal of Psychiatry 159.3 (2002): 477-479. Hu, Frank B., et al. "Fish and omega-3 fatty acid intake and risk of coronary heart disease in women." JAMA: the journal of the American Medical Association 287.14 (2002): 1815-1821.